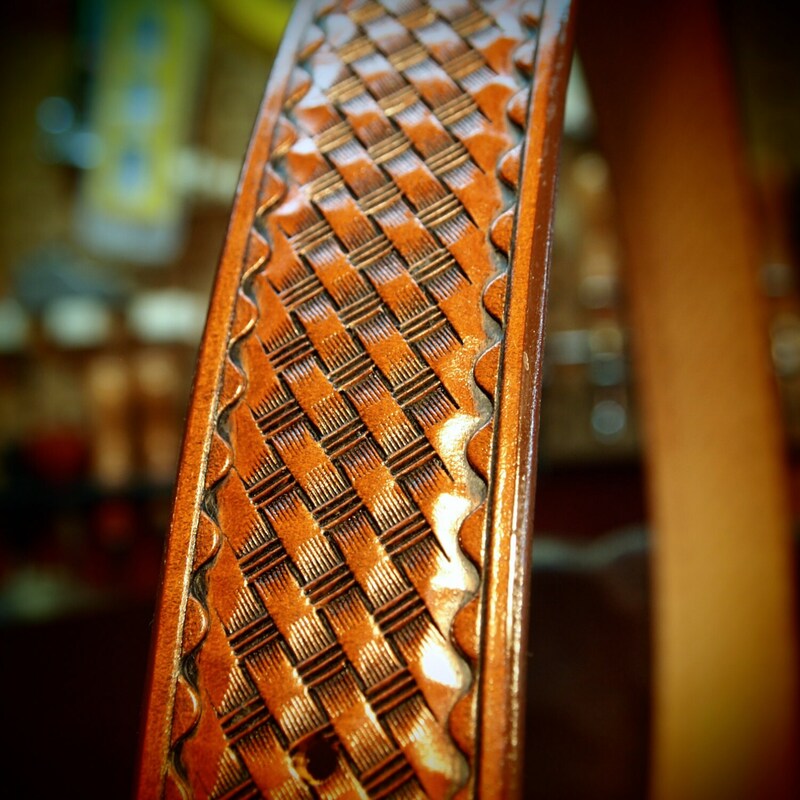 Tan leather belt : Brown Tooled basket weave with waved border. Polished nickel buckle 1-3/4 wide. Handmade in USA! 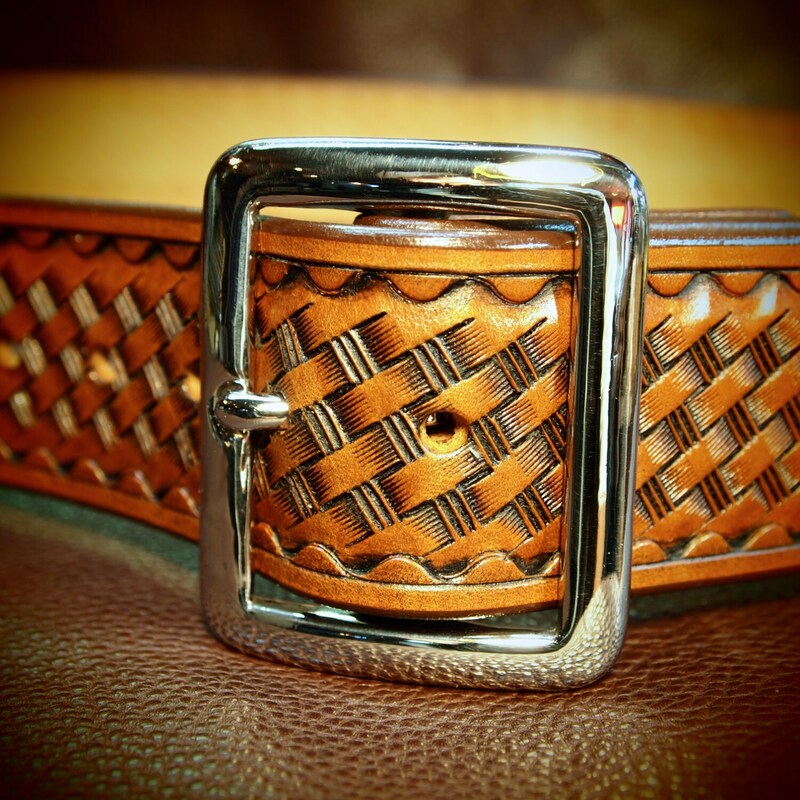 Tan leather belt : Brown Tooled basket weave with waved border. Polished nickel buckle 1-3/4" wide. Handmade in USA! 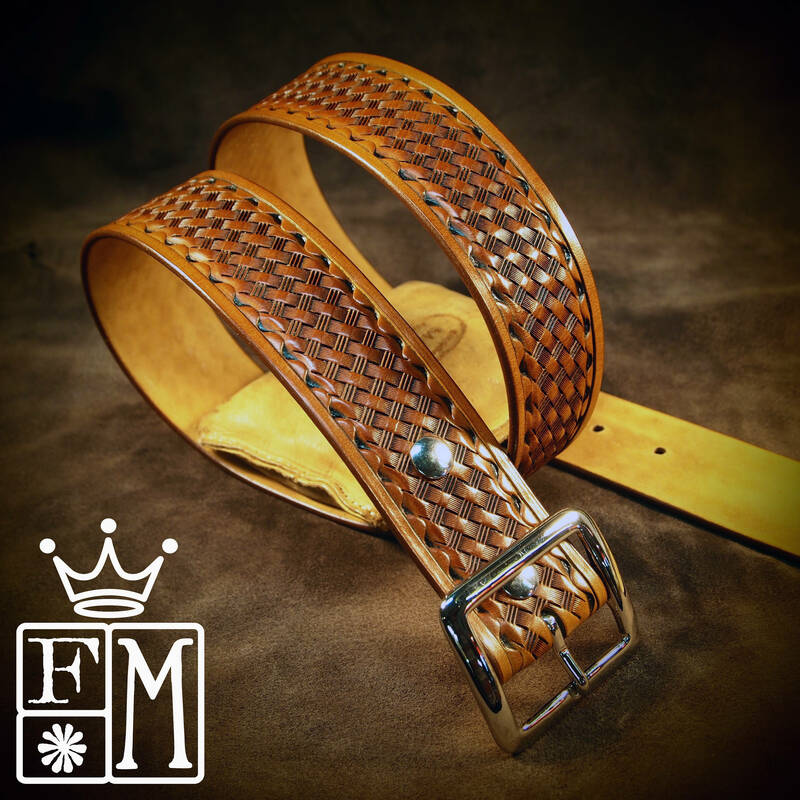 This tan leather belt starts as a hide of 9 oz. fine quality vegetable tanned leather. It is hand cut to 1-3/4" and hand stamped with a Classic basket weave with a waved border. I then dye it vintage Tan. It has smooth finished edges right down to a tapered english point. 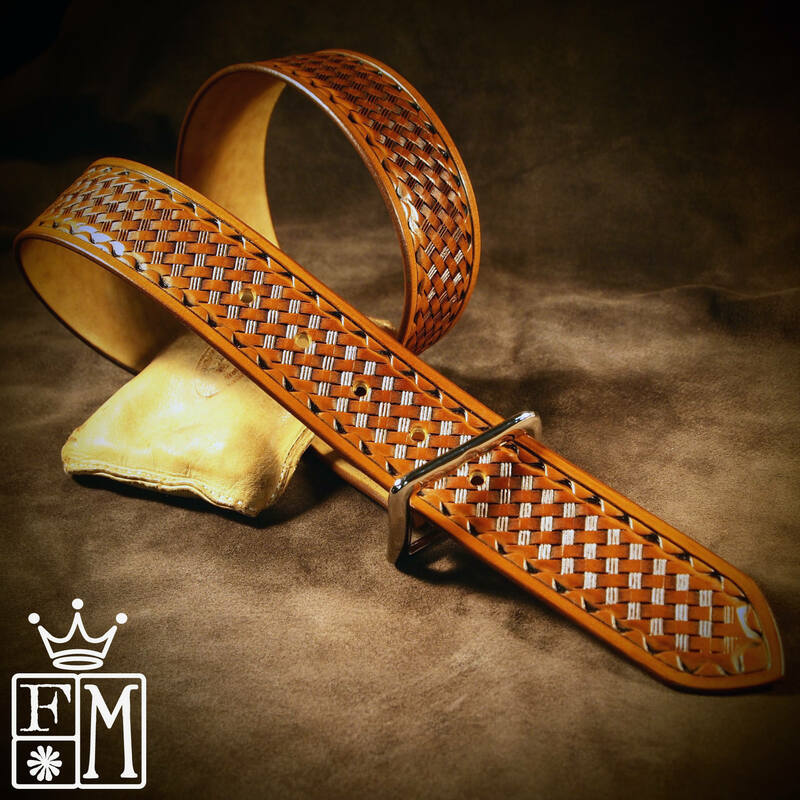 The entire belt is then waxed and polished to a beautiful sheen! A polished nickel centerbar buckle closes it up and 2 polished snaps allow the buckle to be changed! Completely handmade and available in black and walnut brown!